Instagram is the popular photo-sharing social media platform. But why would you want to use it for your job search? If you are already on Instagram, consider using it to build your personal brand and online visibility. And to connect with potential employers (who also are using Instagram). Instagram is just one more place online you can tell your career story and develop a valuable network. Sure LinkedIn is a recruiter’s top choice in most cases, but here are some reasons why Instagram is becoming more important. Instagram shows your life outside of work. It shows your interests and personality. Instagram is another way to build (and spread) your personal reputation. Recruiters are using Instagram to attract candidates. So how many recruiters are checking you out on Instagram? It depends on the type of talent they are looking for. 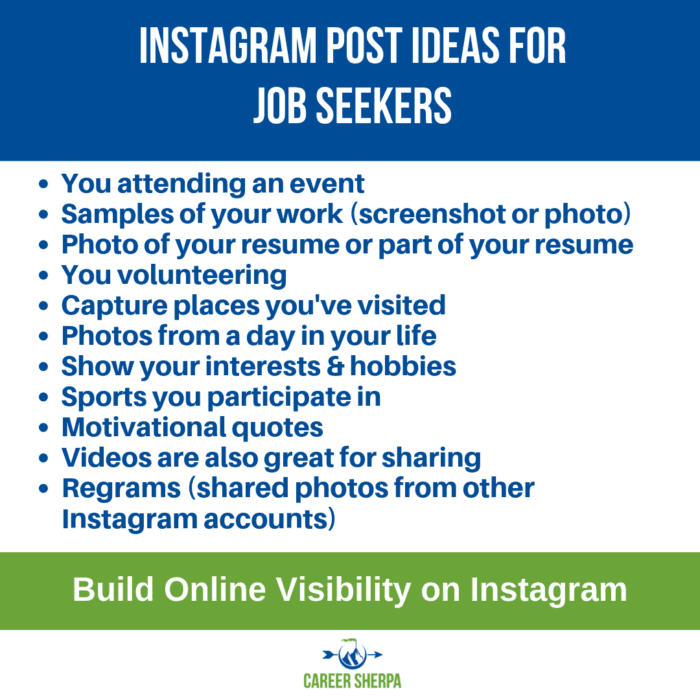 Jobvite reported that “25% of recruiters are investing in recruiting efforts on Instagram.” While this number isn’t huge, it is just one more resource you should know how to leverage. What exactly do recruiters hope to accomplish on Instagram? First, they want to attract potential candidates. Second, they want to learn more about candidates. Learning about a candidate is often difficult on LinkedIn. Profiles often read exactly like a resume. So to learn more about applicants, recruiters turn to social media. They want to see if candidates are a culture fit and learn about their hobbies and interests to get a full picture of who they are. To learn more about what employers evaluate on social media, read Social Media Used To Evaluate Job Seekers 2018. If you are actively job seeking and want to impress recruiters, then pimp your Instagram profile. Use the same headshot on Instagram as you used on LinkedIn. This makes it easier for people to recognize you. Just an FYI, use a good quality photo of your head and neck. Look at the camera and smile. You have 150 characters to convey who you are professionally and personally. Be sure you use similar wording as you used on LinkedIn (Twitter or Facebook) so the reader knows you are the same person. You could explain what you’re Instagram account is all about or you could use a version of your pitch. You can even include emojis to add visual appeal. If you want, you can include a live link in the body of your profile with a call to action such as: View my LinkedIn profile here: [insert your LinkedIn URL]. Or if you want, you can add it to the website section instead. Need more help deciding what to put in your bio? 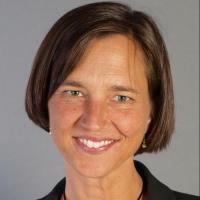 Check out: How To Build A Better Bio. Your bio allows you to link to a website. Include your personal website or if you don’t have one, you can list your LinkedIn URL. The idea is to list a page that provides someone with more and better information about you. Be sure you have given some thought to what you will share on Instagram. Keep in mind, this can be a blend of personal and professional updates. If you are creating an image, remember the image must be square and best dimensions for an Instagram post are 1080 X 1080 pixels. These are some ideas of what you can share as updates on Instagram that will help reinforce your personal brand and showcase your interests. Photos of you attending an event. (Or just take a picture of the event sign). Videos are also great for sharing on Instagram. Create a quick job tip, share your pitch or backstory, or talk about an event you are attending or volunteering with. Adding the photo is just the first step. Your next step is to write about the photo you are sharing. Describe why it’s important or interesting. Ask a question or ask for feedback. Try including emojis to emphasize a point and make your post more interesting to read. You have approximately 2,200 characters to use in your Instagram post. But you certainly don’t need to use them all. There are additional things you should add to your post on Instagram as well. Once you’ve uploaded your photo or video, explain what it’s about. You can use hashtags to categorize your post. Hashtags are searchable on Instagram so make sure you are using the appropriate ones. Consider tagging a company you are interested in to let them know about an event you are attending or show how you are using their product or service. Companies monitor their accounts and can see when you’ve tagged them. Tagging is also a good way to say thanks to people in your network or people you want to meet. In order to tag someone, just type the @ and then type their name or Instagram handle in the text box. Take a second and look at your overall Instagram profile page. What story do your photos tell? Do the images you’ve shared provide a solid representation of your personality and personal and professional interests? The first impression is often a lasting impression so make sure it is the right one! Follow the company and/or career accounts of companies you are interested in. Find and follow other accounts related to your career aspirations. See who people in your network are following by click on their “following” button. Search relevant hashtags to find new people/brands to follow. 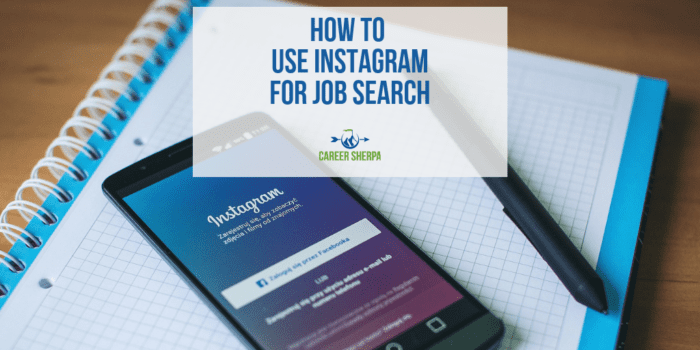 These are the basics to help get you started using Instagram for job search.